The beekeepers of RTC (myself included) are proud to announce that the initial three months of the apiary project have been a success. 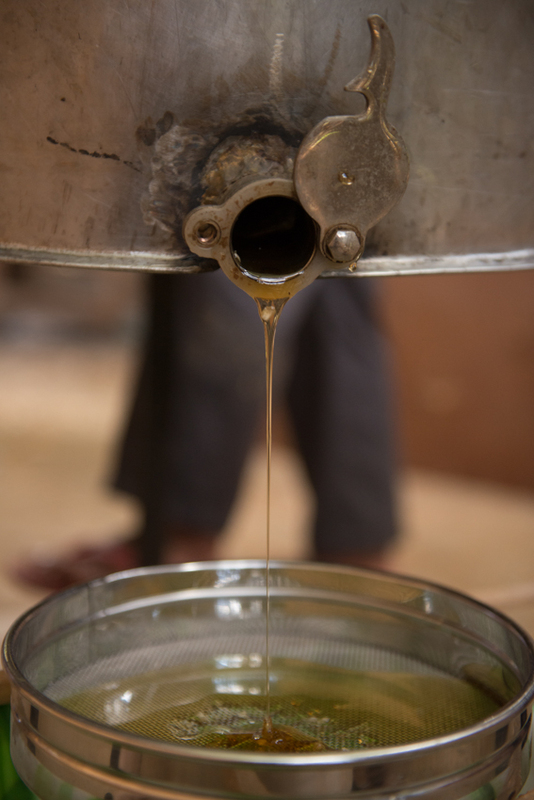 This last weekend the first batch of honey was harvested, yielding approximately 18 liters of honey from the three hives. Campus lecturers, staff, and a number of students gathered to take part in the harvest. 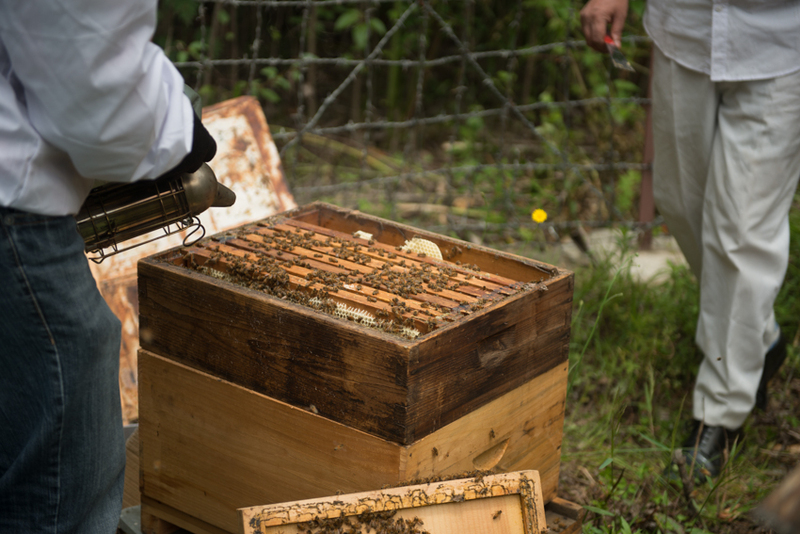 The bees first arrived to the campus in March of this year, from their origin in Bumthang. 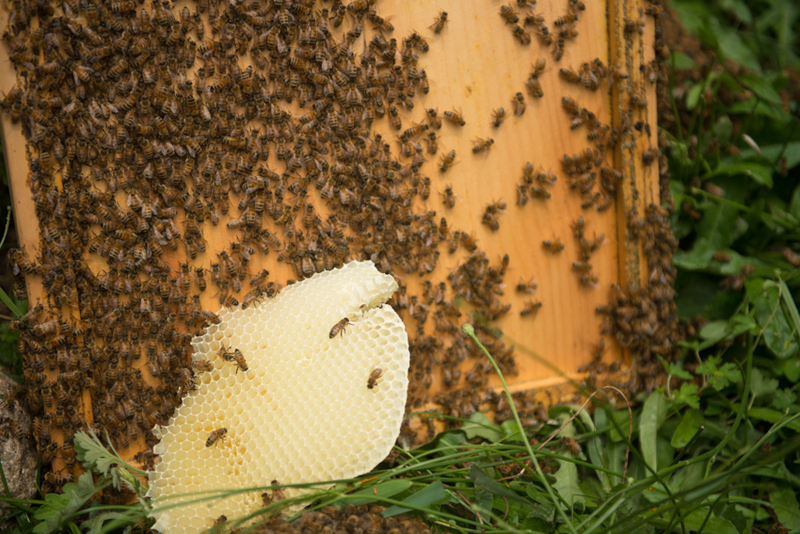 The beekeepers/researchers were unsure in regards to the yield of honey in the first year, positing that the colonies may need more time to adjust to the new surroundings. However, the hives have proven resilient to the change in environment and have been productive in both brood stock and honey production. 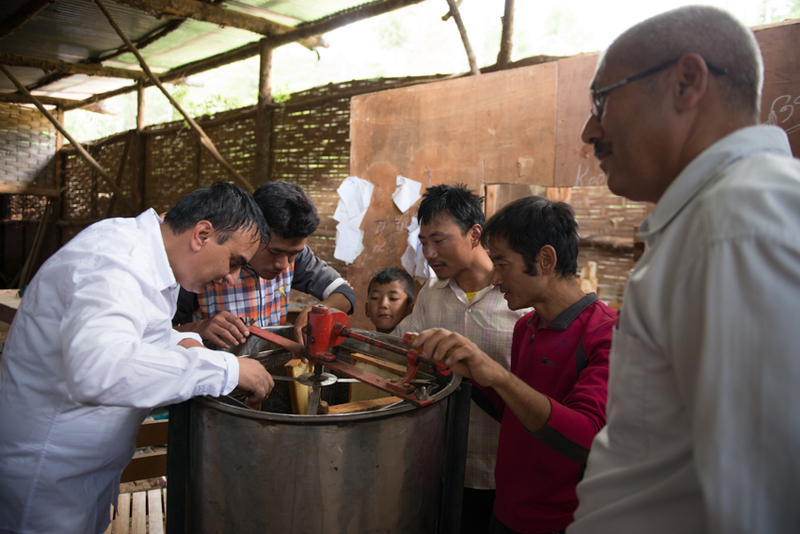 With Bhutan being largely dominated by the agricultural sector, and looking towards more organic avenues for sustaining crop yields, such a project has the potential to improve local yields by ensuring pollination. Thus, local landowners achieve benefits. The mutualistic relationship between pollinators and flora is a great example of co-evolution in which an animal and plant species have adapted not only to their surrounding environments but also to each other. Great educational value is found in this relationship in terms of ecology and creates many linkages to class material and could serve as an interactive lab component to a number of RTC courses. In many countries, universities/colleges serve as important research institutions that directly link to improving local livelihoods. 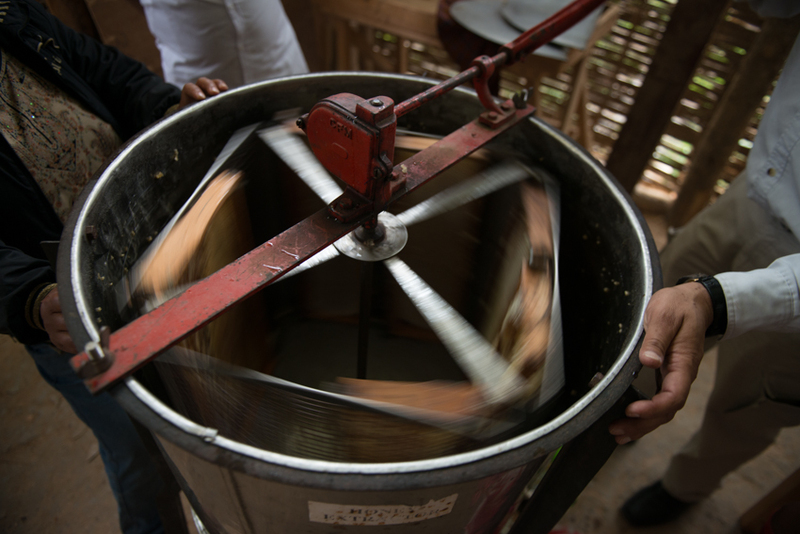 The Beehive operation could create institutional-community linkages between RTC and rural areas of Bhutan for sustainable development, specifically serving as an avenue for exploring agricultural alternatives and alleviating poverty.